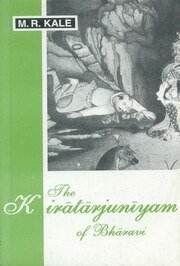 The Kiratarjuniya is a Mahakavya and is named after its chief incident, viz. the fight between Siva under the guise of a Kirata (Mountaineer) and Arjuna. This metrical composition describes the journey of Arjuna to the mountain Indrakila, part of Himalayas, for the propitiation of the gods Indra and Siva and the final obtainment of the divine weapons Pasupata and others from the gods. Bibliographic Information: xxi, 241p. Notes, Ref.